Beautiful music created via solar system orbital simulation. In the new study, the researchers disrupted activity in the right TPJ by inducing a current in the brain using a magnetic field applied to the scalp. They found that the subjects' ability to make moral judgments that require an understanding of other people's intentions -- for example, a failed murder attempt -- was impaired. Direct, in-browser playback works with HTML5 browsers that support H.264 or OGG Theora video (Safari 4+, Chrome, firefox 3.5+). Click image for playback on other browsers. Square Kilometer Array dish designs looking rather familiar. Wrapping FFI based ruby calls to GSL requires handling 1000+ functions with their various features of calling arguments and returns. That's an error prone business and I wanted to have tests that would automatically check that my wrappers results match up with results from calling GSL functions within a C program. I was looking at having to hand code C programs to generate answers from functions like, "gsl_complex_sqrt_real(2.0)" (which is (1.4142135623731,0.0) by the by). And then another set of Ruby programs that would cross check those answers against my FFI wrappered calls to GSL. That's a lot of extra coding (see fig 1 for an individual test). On our 10.1 opensuse hosts, an annoying message is printed out at the start of running programs that are part of a MIRIAD install. This appears to be related to an improperly built rpm for libpng that was distributed by many different linux distributions, including opensuse. It does not keep the programs from running, but, I've been wanting to fix this for a while and with a small amount of googling, came to the conclusion that the easiest fix would be to do a custom build of libpng. Looking to the region above the centre of the picture, curious red features appear that are completely invisible except in the infrared. Many of these are very young stars that are still growing and are seen through the dusty clouds from which they form. These youthful stars eject streams of gas with typical speeds of 700 000 km/hour and many of the red features highlight the places where these gas streams collide with the surrounding gas, causing emission from excited molecules and atoms in the gas. 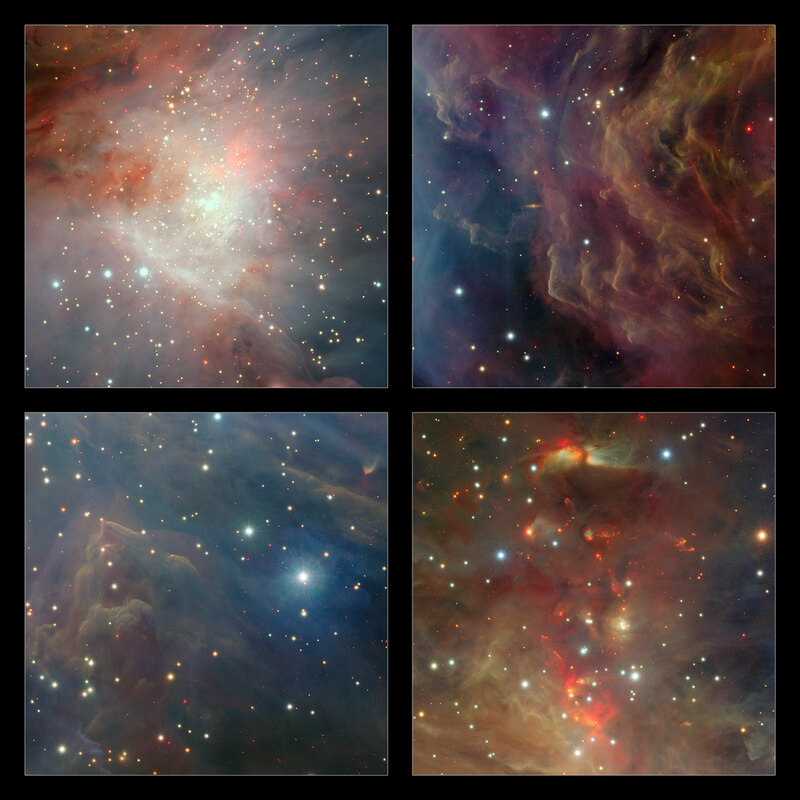 There are also a few faint, red features below the Orion Nebula in the image, showing that stars form there too, but with much less vigour. These strange features are of great interest to astronomers studying the birth and youth of stars. Astronomy & Astrophysics is publishing new 3D maps of the interstellar gas in the local area around our Sun. A French-American team of astronomers presents new absorption measurements towards more than 1800 stars. They were able to characterize the properties of the interstellar gas within each sight line. rgslffi GSL4r is a set of wrapper routines I'm creating around GNU Scientific Library (GSL) mathematical routines using the Foreign Function Interface (FFI) library for Ruby/JRuby. Using FFI helps avoid tying GSL only to the C based Ruby interpreters and potentially will make the library universally available across all Ruby implementations. Something we'd like to have while using JRuby for the ATA.